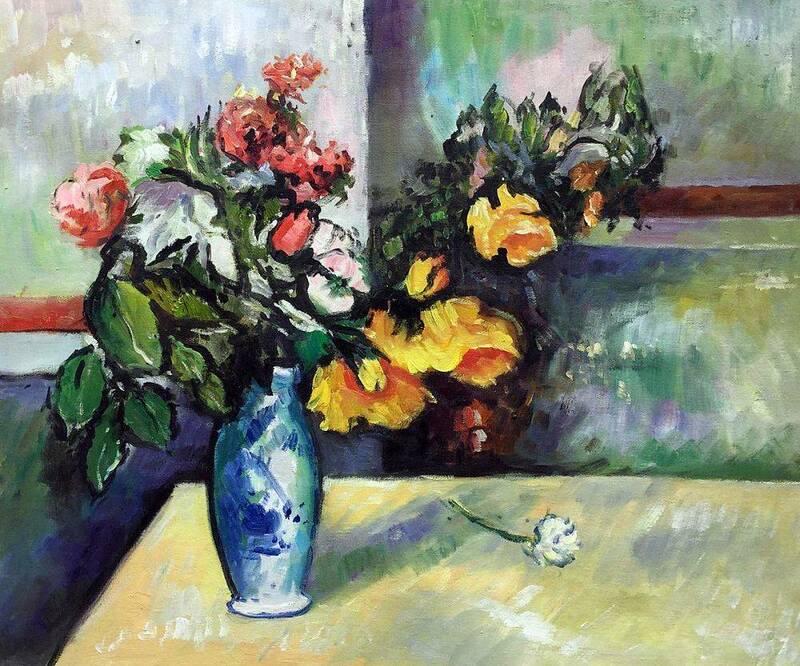 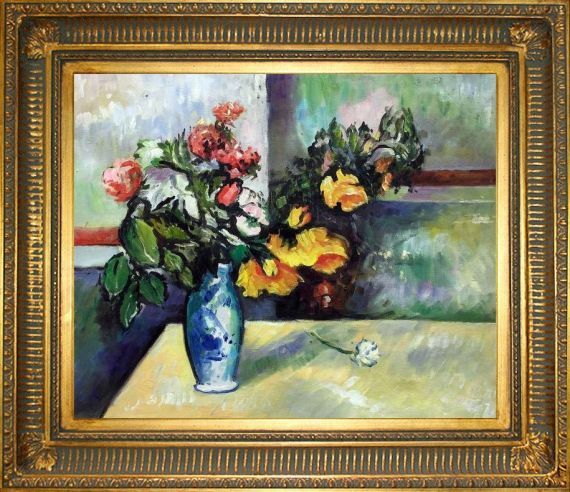 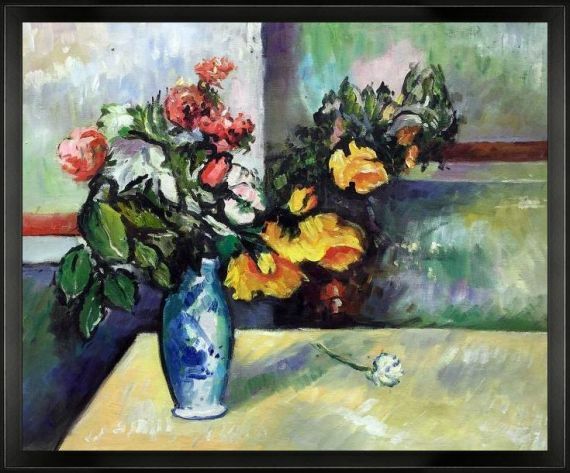 Cezanne’s 1888 Still Life Flowers in Vase so purely exhibits the artist’s distinct brush work, use of color panes and fascinating exploration of light that it would perfectly complement any kitchen, dining room or space that is meant to inspire artful musing. 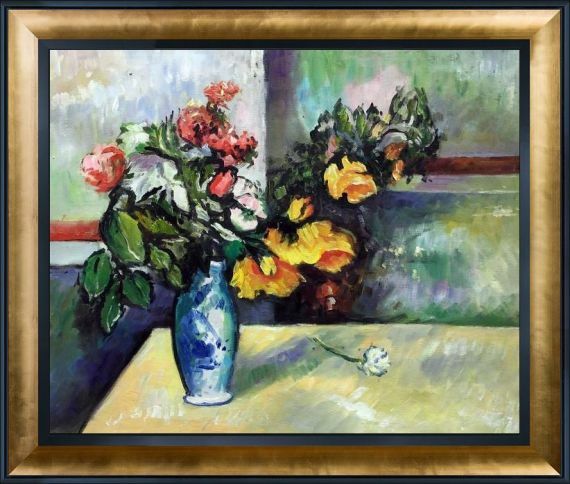 Our 100 percent hand-painted Cezanne reproductions offer only the finest attention to detail, mimicking the original to near perfection. 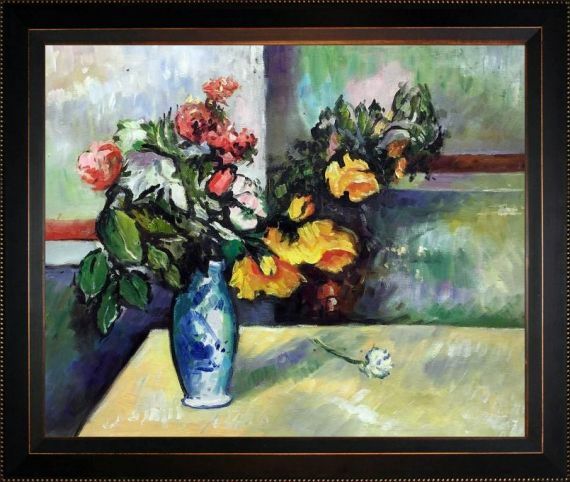 This painting comes on high-quality canvas and includes hardware and a certificate of authenticity.